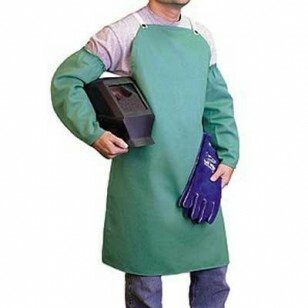 USA treated flame retardant cotton bib apron is specially treated to be flame retardant and flame resistant. Washable apron maintains flame resistance up to 50 washings. Apron has shoulder and waist adjustable straps and comes in 36" and 42" length.